It’s probably going to hit 80 degrees today in Central Florida, and it’s December. My parents in West Virginia and sister-in-law in Washington have already seen freezing temps, and in all likelihood will have more days with snow on the ground than without between now and February. For a lot of people, that’s the idyllic image of Christmas. White. Cold. Fire in the fireplace. Hot Cocoa. But that’s not been the experience of my life. For the vast majority of my Christamases have been spent in warm climates in short sleeves, without real evergreen trees, and without a fireplace… but, because of the technology of the day, I can still enjoy that traditional cold weather image of Christmas. Now understand, I love the warm weather… far more than the cold. In my somewhat limited experience snow as a way of life – is overrated… So, why do I feel like I need all those traditional cold weather trappings at Christmas? Couldn’t I just as easily decorate a palm tree? 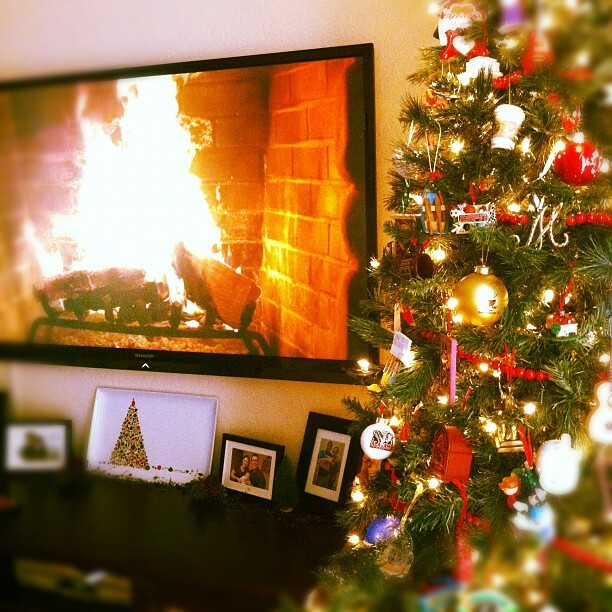 What is it about the fireplace on TV that makes it feel a bit more Christmasy than no fireplace at all? I’m not the only one that does these things… certainly. Lest I get comments about how Christmas is not about family nor the images, it’s about Christ… let me assure you, I know that. But the story of Christmas starts with the forming of a family… Mary, Joseph, sister and brother-in-law – Elizabeth and Zechariah, cousin John, Jesus… those were the first players – a family. Even this morning as I read through Matthew 1 – Joseph and Mary made decisions to build their family on the faithfulness of God and their obedience to Him. During Christmas, as I look around our decorated house, and smell the candles burning, I think about my own family… What defines us? What are we going to be about? My prayer is that in some similar way my family, and yours, is built upon that same trust in the God who sent His Son as a baby to die for our sins, and on the sacrificial obedience that Mary and Joseph portrayed.